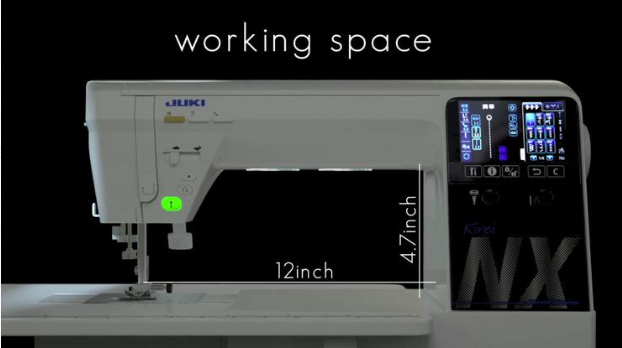 The next generation in JUKI Home Sewing Machines is setting a new standard with 12" of sewing space, digital tension which automatically adjusts the tensions depending what stitch you select, Active pressure adjustment. Automatically adjusts the pressure to allow continuous feeding over thick seams. JUKI Smart Feed, and interchangeable single needle system combining JUKI industrial technology with existing domestic sewing machine technology in an un-beateable format. 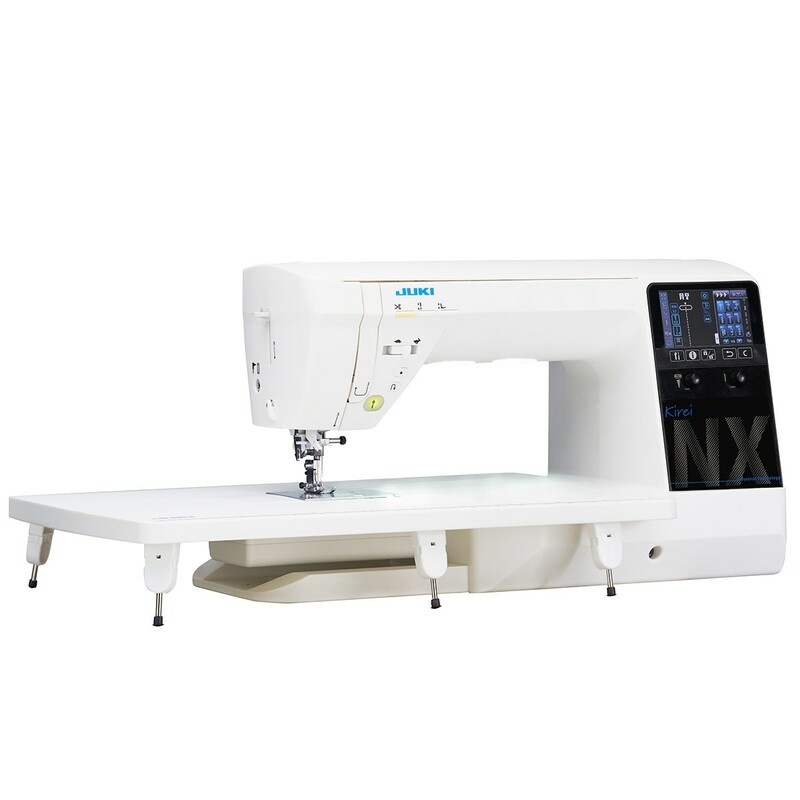 Continuing JUKI’s characteristic of commitment to high performance and functions, the HZL-NX7 provides a wide sewing area, touchscreen interface, and a multitude of other functions! This machine is like 2 machines in one. A Professional straight stitch (like the JUKI TL 2200QVP and an advanced zigzag machine all in one, only better. Smoother, quieter and faster than any competetive machine on the market. As easy to use for a beginner and as capable as a professional machine. With captivating beauty, the NX-7 will bring high-quality and reliability to all of your sewing and quilting projects. Beautiful form, beautiful function. Automatic Thread Trimming: With the push of a button or tfoot operated, you can now automatically trim thread.